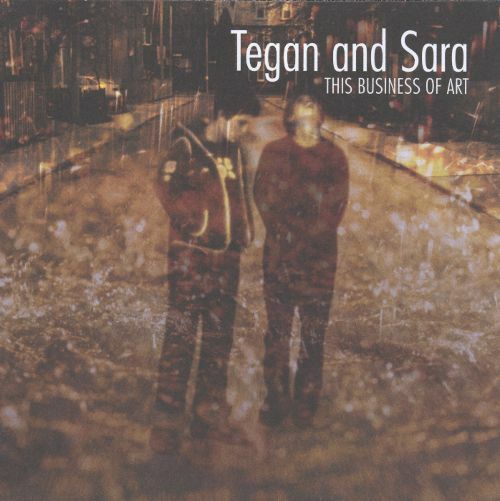 The worst thing I can say about Tegan and Sara's debut album (along with their follow-up, This Business of Art, which shares many of the same songs) is this: After I am finished listening, I remember almost nothing about the experience. At this point I'd say I've listened to the album around 25 times, and in spite of my best efforts, almost none of it sinks in. Not that this is a bad album; even at this early stage Tegan and Sara, teenagers at the time, were proving to be gifted singer-songwriters. More than that, they'd already cemented pat their distinctive, stylistic and impassioned vocal style. What's missing here however are the songs that pop out at me—like they'd do in albums they'd release later in their career. At the same time, though, nothing pops out at me in a bad way, either. This is a solid, consistent debut, if lukewarm. Everyone & everyone out there compare this album to Ani DiFranco, and they do have a point. These are the things this album has in common with Ani DiFranco: All of these songs are sung by a female; the manner of singing is stylistic, distinctive, and rapid fire; all songs are primarily acoustic-guitar based with a few augmentations here and there to keep things diverse; there is nothing particularly fancy about the production but it's all nonetheless well polished; the lyrics are complex; the melodies are solid. The major departure from Ani DiFranco, I'd say, is more fundamental: DiFranco fancied herself as a folk musician in the same vein as Blue-era Joni Mitchell, whereas Under Feet Like Ours is a pop album at its core. 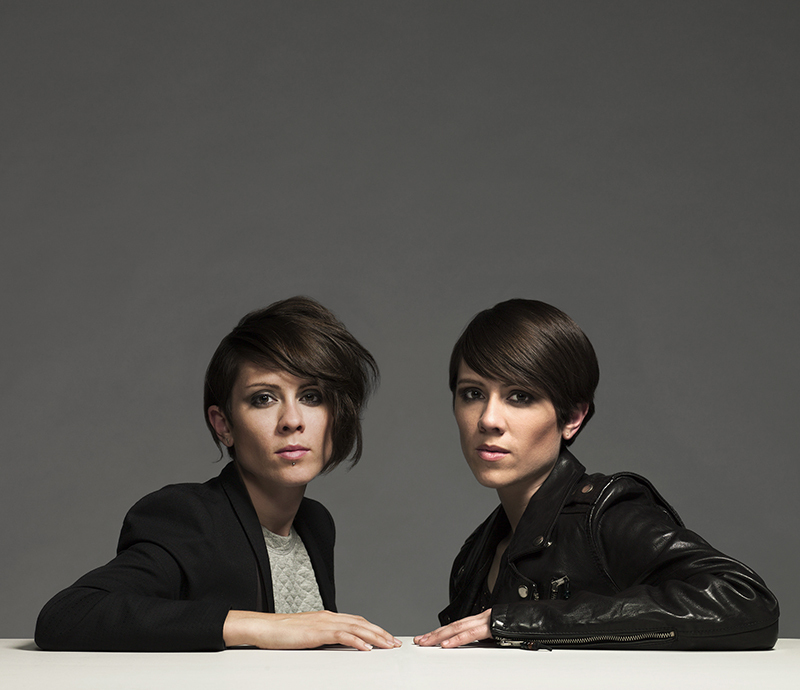 Tegan and Sara are identical twins, by the way. I am unable to tell them apart. There are 12 songs on the album. Tegan wrote 8 and Sara wrote 4. The 13th track is a grainy old recording of a little girl saying “Bye! !” (which I'm guessing is a recording of one of them). So how exactly do I write a review of an album that has no particular highlights? I managed to write reviews of the individual songs and did the best I could. You can read those if you want... I can say at least I generally enjoy the experience of listening to the songs. Tegan and Sara might not have been at the stage of their careers when they could make their songs pop like they would later on, but they did at least have the instinctual knowledge of how to keep their songs from growing tedius. Songs like “Clever Meals” might not be so interesting melodically, for instance. It starts out as an unexceptional piano ballad. However, halfway through—just as soon as I would otherwise have given up on it—the singing gets more impassioned and it gets built up with a rapidly strummed acoustic guitar. My favorite song might just be one of the album's simplest: “Freedom.” It's fearlessly sung song and instrumented with a boisterously strummed acoustic guitar. By the end, there's a busy drum section that helps give it a big ending. At a little over two minutes, it's short and sweet, too. More than I do for most albums, I studied these lyrics, and they are OK. They are complex and well-written. They're bitter and usually about love—which is what all their songs are about. Though, unlike many of their later songs, it doesn't feel as though I can relate so well with these. They hadn't quite gotten that down yet. Tegan and Sara fans are going to love this album, of course, and they should no doubt own this. Anyone else, I wouldn't start with this. I'll let you know which album you should start with as soon as I post the review. Read the track reviews here! The main difference between this album and their independently released debut is that it has different songs on it. Well, some of the songs are different. They rerecorded six of them: “Proud,” “Hype,” “Freedom,” “More for Me,” “Come On” and “Superstar.” This was the first album they recorded with Neil Young’s Vapor Records, and I suppose they were able to get an album out quicker by retooling some of their previously recorded songs (which I think almost nobody heard anyway). All of these songs, even the new ones, are performed more or less in the same style as they were for the debut…the difference being that the production is generally heavier and more polished. And, even then, they’re really not dramatically different. Their debut album might have had a charming, scrappy quality to it, but I can’t say I miss that too much listening to these retooled versions. I mean, not that I fell in love with any of these songs in the first place. And yes, you can continue on with the Ani DiFranco comparisons if you like. These songs can generally be characterized as rapidly sung pop-folk tunes with dense lyrics. But truthfully, it’s difficult to think of anyone who truly compares to Tegan and Sara, even in these earliest stages of their career. They were already crafting a unique sound for themselves. When I listen to these songs, there is something about them—be it a melodic twist, an evolving texture, or an interesting embellishment from a synthesizer—that gives me pretty strong hints of these ladies’ burgeoning super-powers. They might not have come out yet with one of their songs that I fall in love with, but there are some pretty strong hints that they’re coming. And of course, Tegan and Sara could sing circles around Ani DiFranco, even on their worst day. Not that DiFranco was a terrible singer or anything. Their highly stylized, highly confident vocals are absolutely unique to them, and they were only getting better at it. Truly, their vocal performances are the best aspect of many of these songs. No, I wouldn’t call them emotional singers (I mean, maybe they come off somewhat perturbed sometimes), but they do always seem sincere. Sometimes singers (particularly those under the indie-rock umbrella) who heavily stylize their vocals can come off as obnoxious. (*Cou—Jason Mraz—gh*) But Tegan and Sara don’t. They just have too much charisma. 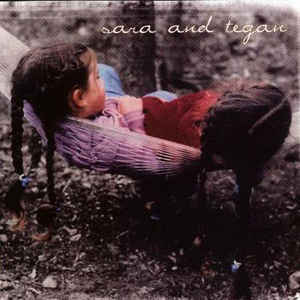 So in the end, let it be known: I love Tegan and Sara, and I love listening to them even in this early album. As a whole, I enjoy this album reasonably. However, I just can’t seem to get myself attached to any of these songs. As much as I might want to. 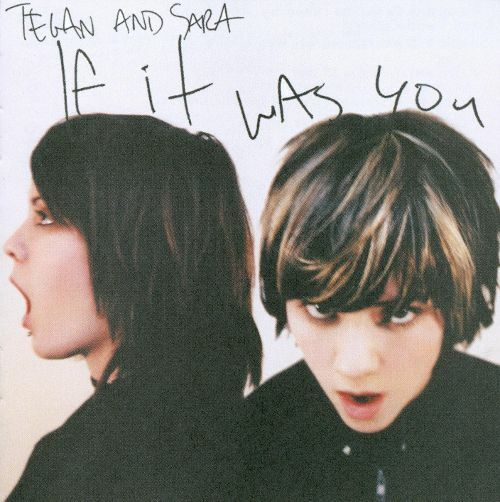 While I thought Tegan and Sara’s two previous albums were fine, they really weren’t much for me to write home about. (That is even though I literally wrote reviews of them… I just didn’t send the reviews home.) This third album is where Tegan and Sara seem to jump ahead a few spaces on their hopscotch board, and they generate their own truly unique identity. No more am I tempted to compare them to Ani DiFranco—or anyone else. The big change here is Tegan and Sara decided to embrace a more pop-rock sound, and wouldn’t you know it? They could write an excellent pop-rock melody. Really, it’s staggering to me how catchy this stuff is. This is also the point where I have to say that Tegan and Sara come off so incredibly likable to me. It’s like they could be my friends, or something. This due to the fact they not only have singing voices with decent range with a distinctively cute, zesty timber, but they also come off like they’re genuine people. A song like the album closer, “Don’t Confess,” which consoles someone after a rough breakup, when I listen to it, it er, it seems to me like I have a new friend. …No, I’m not going to stalk them or anything. Speaking of stalking, the best song of this album is “Living Room,” which can be characterized as a delightful, infectious bluegrass stomp. The song also happens to be about stalking—about looking into a neighbor’s window over long periods of time and becoming obsessed with their lives. (“My windows look into your bathroom / Where I spend the evening watching you get yourself clean / And I wonder why it is that they left this bathroom so unclean / So unlike me.”) I even remember hearing the song for the first time and it giving me shivers up my spine. It’s that catchy. Truly, the subject matter is a little bit creepy, but as I said in the previous paragraph of this review, Tegan and Sara are so incredibly likeable that…well, maybe they only obsess about these strangers because they care? And my goodness, the structure of these pop songs is impressive. If I were to guess, they were listening pretty heavily to Beatles music, since most of these songs come in immediately with a vocal hook and an interesting instrumental texture, which leads quickly and seamlessly to a differently textured chorus. They even sometimes bring in middle-eight sections. Also like Beatles music, they cram so much into these songs that it surprises me most of them only last two or three minutes. I love so many of these songs. The jumpy album opener, “Time Running,” produces a terrific amount of fun. “Monday, Monday, Monday” has such a catchy chorus that it makes me want to sing along with it…loudly. “Terrible Storm” has such an epic ending you’ll just have to hear to believe. I mean, it sounds like it comes out of Pink Floyd’s Dark Side of the Moon or something. “I Hear Noises” is an excellent jangle-pop song with a passionate, stylized vocal performance where they convincingly sing barbed lyrics that are about a soured relationship. Unquestionably what helped this album sound so good was that it was produced by John Collins and David Carswell, who often worked with The New Pornographers. (Well, Carswell to be exact was a New Pornographer.) The textures throughout the album are crunchy, varied, and served to enhance Tegan and Sara’s vocal performances. Of course, it also helped that they gave us such a large variety of songs. Not one song here is like another.